French campsites are great – wonderful facilities and the weather is normally warm enough to enjoy them; particularly the swimming pools. 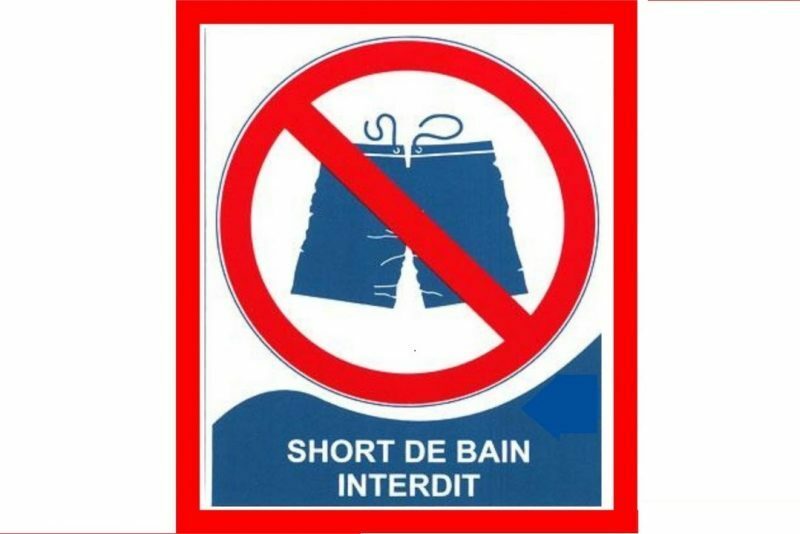 Your average male Irish tourist arrives at the parc pool only to find that he’s not allowed into the pool with what he considers to be standard swimming gear. He is informed by swimming pool authorities that his attire is not hygienic and that only smaller, figure-hugging swimwear is allowed. This leads to huge outbreak of moaning and many hours of good-natured whinging over refreshing drinks late into the evening in the campsite. Why are the French so fussy about the swimming togs? Everyone wears these kind of togs, so why can’t the French let us in? They’re not unhygienic! The trouble is that the French are right. Bringing a large pair of shorts designed for field sports and wearing them as if they’re for swimming in is something that you’ve been tricked into doing. Just take a closer look at them. They’re not for swimming, they’re for hurling, or football or something else entirely other than swimming. They’re loose and wide to allow air to circulate to a certain extent (air, not water) and they’re elasticated at the top so that they don’t fall down. Some are even longer and baggier and go right down to the knee. Why would you need to cover your upper leg for swimming? It doesn’t make any sense, does it? It was those Americans again. They started all of this nonsense. It goes back to surf-dude fashion. At some point about twenty years ago or maybe even more, the radical surfing types in California started to express their counter-culture by not bothering to cut their hair or wash it much and took to wearing swimwear that wasn’t swimwear at all. It was specifically designed to (a) stand out from the lame swimming tourists on the beach and (b) to keep their legs warm while they were standing on their boards out of the water. Everyone wants to be like the surf dudes but most people want to keep their jobs, so the compromise was to go to the beach at the weekend and dress a little like the surf dudes to express their independence of spirit. This was a fashion that spread like a horrible disease across America and then across the Atlantic. Pretty soon, lots of teenagers in Ireland and the other Anglo-centric countries of northern Europe were infected. They liked the baggier fashion because all teenagers like to cover themselves up as much as possible and because summers from Ireland over to the Baltic require warmer swimwear anyway. And so, we moved from a situation where people in Ireland used to go swimming wearing swimming trunks (or swimming togs, if you like) to wearing football shorts and long basketball shorts. The hygiene of a swimming pool is very important and when there are hundreds of people using a public pool all day, you do need to put a few policies in place to cut down on the maintenance. So is it not perfectly reasonable for swimmers to be required to wear swimwear when going swimming? 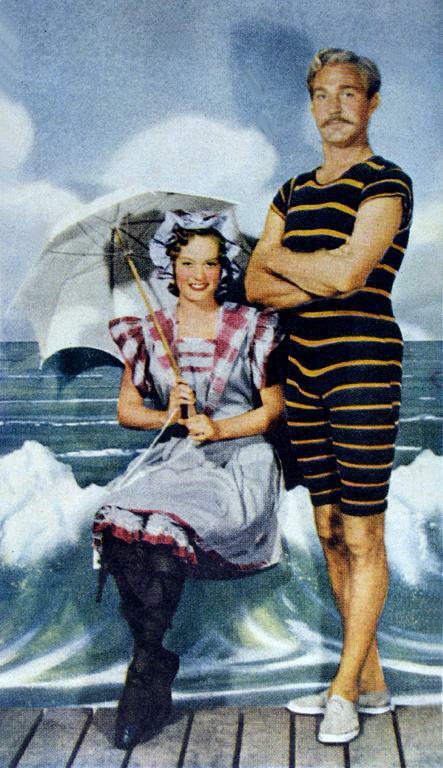 Next time you’re asked to leave the pool and go and change into swimwear, don’t get angry at the French, get angry at the Americans – they’re the ones who fooled you into thinking that field sports wear and swimwear were the same thing.